We Deliver Over Twelve Hundred Engines a Year! Call Now For A Free Quote On Any Automotive Engine!!! The inventory changes daily & almost all car & light truck engines are available for model years 2000-2016 (and even some 2017)!! 5 Year Warranty offered on most engines! Call 262-448-4568 Now to see if your engine is available or email us by clicking Request a Quote. Experienced Professionals are standing by to assist you! Engines are tested by professionals before shipment whenever possible. We have Parts only (no labor) warranties on all used engines and they range from 90 Days to 5 Years! We don't sell 'junk' engines. This is an investment that most people want to last a long time! The engines are tested whenever possible before shipping them to make sure you are getting the product we described to you. If you want something that looks like an engine, but functions better as a boat anchor.. then you may want to look elsewhere! Here at First Class Engines, we strive to have a product sent out that you will be satisfied with. 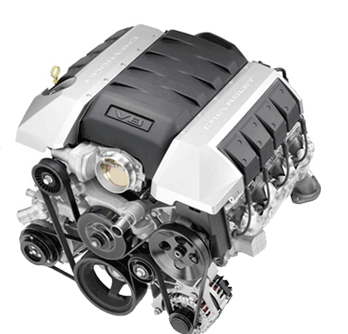 For example, when it comes to used engines, you could choose a reliable source like us or you could go with the cheapest one out there that you can find. With engines, cheapest is almost always a poor decision as it means that the end product will most likely smoke and/or knock or be missing parts, etc. It’s a big gamble. Every day we get calls from people who say they went for the cheapest engine they could find from our competitor and they ended up with a ‘dud’. Many times they can’t get their money back. They are calling us for a high quality, fair priced replacement. Let’s face reality - mechanical things fail. The difference with us is that the engines are tested thoroughly whenever possible so that the chances of a problem are much lower. And also crucial is that if there is a problem, we stand behind our parts only warranties (no labor) instead of trying to hide behind the fine print. We clearly state our warranty guidelines on our policies page so that you know what to expect & we also email the warranty info right after purchase (or before if requested). One more thing to keep in mind is our overhead. We have very little overhead, which is why we can sell a higher quality, lower mileage part & still be at a very competitive price. For payments under $3000, we accept virtually all Credit & Debit Cards (Visa, MC, Amex, or Discover, etc) by phone or we can send you an email link so that you can pay securely online by Credit or Debit card. For orders over $3000, we accept wire transfers. We can provide the wire instructions by email, or you can just call us from your bank and we can give the wire instructions to your banker right over the phone. To ensure the proper part and timely delivery we will also need your engine or transmission specs, shipping address including name of business (if applicable) and shipping phone number, as well as a contact name for receiving the shipment.